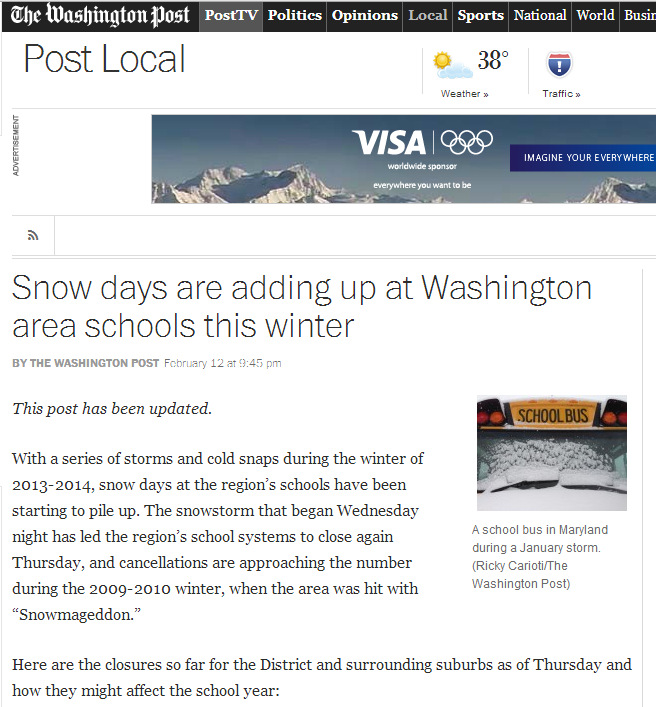 There have been a lot of snow days in the D.C. Metro area. That should come as a suprise to nobody, given the weather we’ve had. Here’s a roundup I helped compile last week on the snow days in each county. I reported on Frederick and Howard counties.